The Evasion outdoor cushions from Fermob convince with their bohemian charm and bring distant countries to your own garden or terrace. The cushions made of jacquard fabric without pattern are a homage to craftsmanship and are reminiscent of traditional wickerwork. 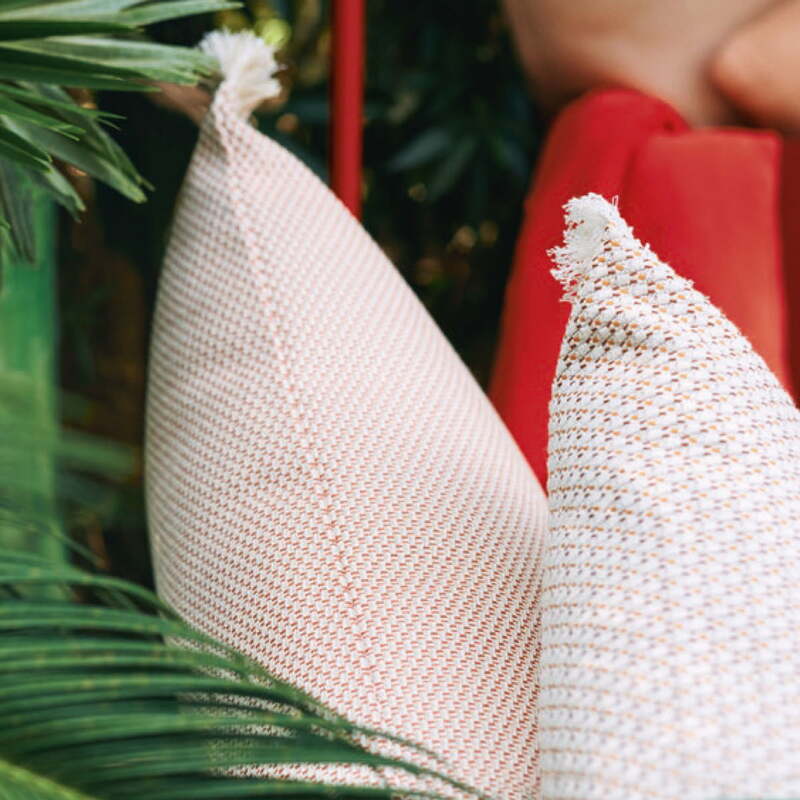 The cushions are available in different shapes and bright colours that blur the boundaries between indoors and outdoors. They are reminiscent of textiles by nomadic peoples and radiate a lot of exotic flair and a sense of adventure. Both alone and in groups, the cushions can be used to enhance the appearance of the garden and balcony. Inside, the cushions look great on a sofa or armchair and outside, they make Fermob garden furniture even more comfortable. The cushions withstand wind and weather, but should be brought into the warmth during heavy rain and frost. The Evasion outdoor cushion 44 x 30 cm from Fermob in peach. 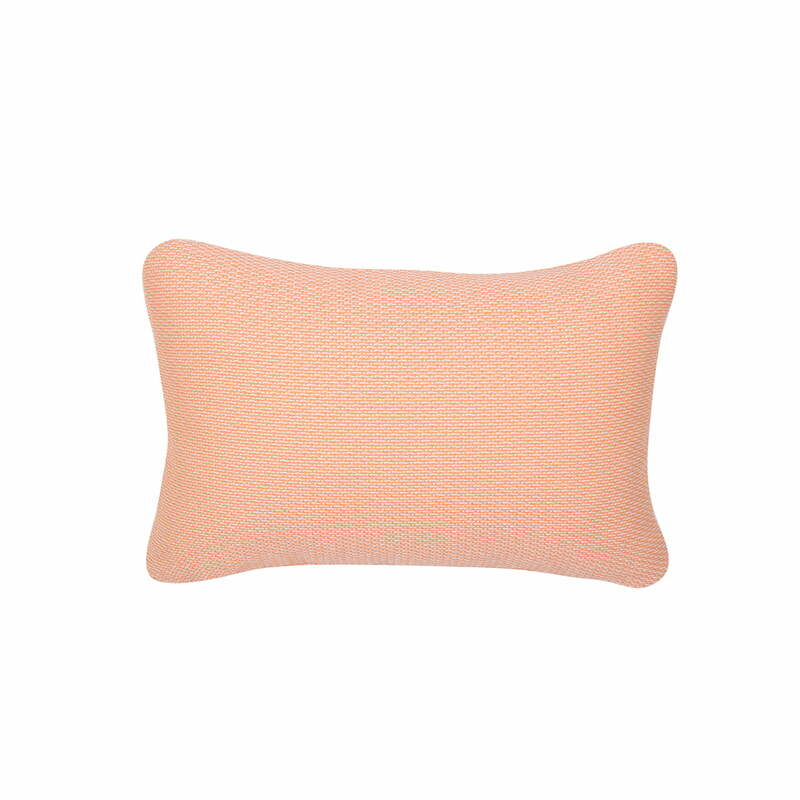 The cushion is a tribute to the craftsmanship and was inspired by traditional wickerwork. The Evasion outdoor cushions in many different, decorative colors and the MOOON! 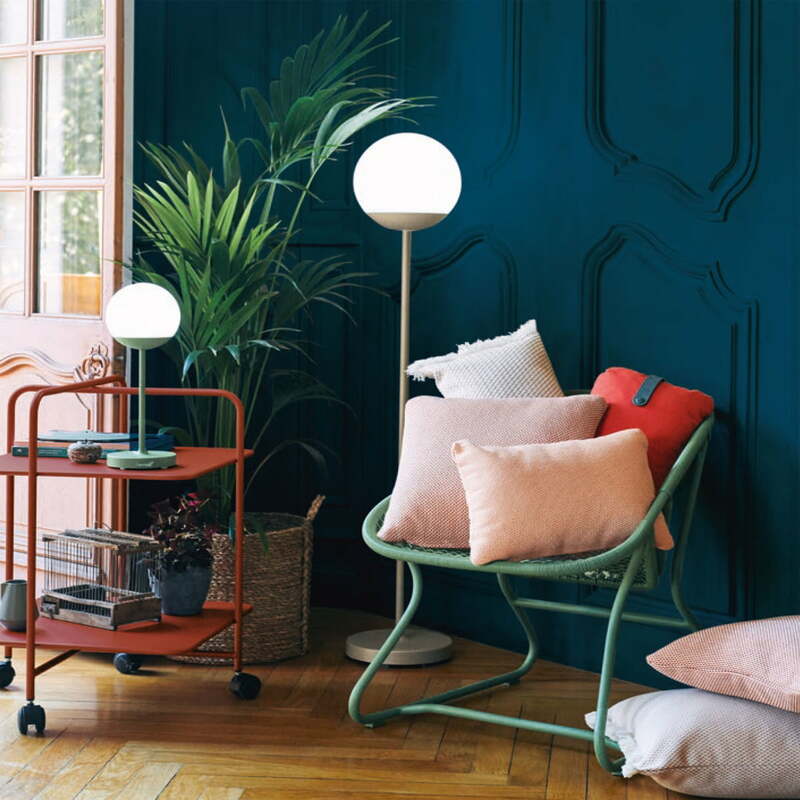 Battery LED floor lamp and table lamp from Fermob in the ambience view.